Hard foams are polyether based Polyurethane foam. These are made with an increased hardness range and are ideal for applications where additional support and higher load bearing is required. Hard foams can be die-cut, milled and laminated with other fabrics. Hard foam are used widely in upper, mid and bottom part of the shoe. 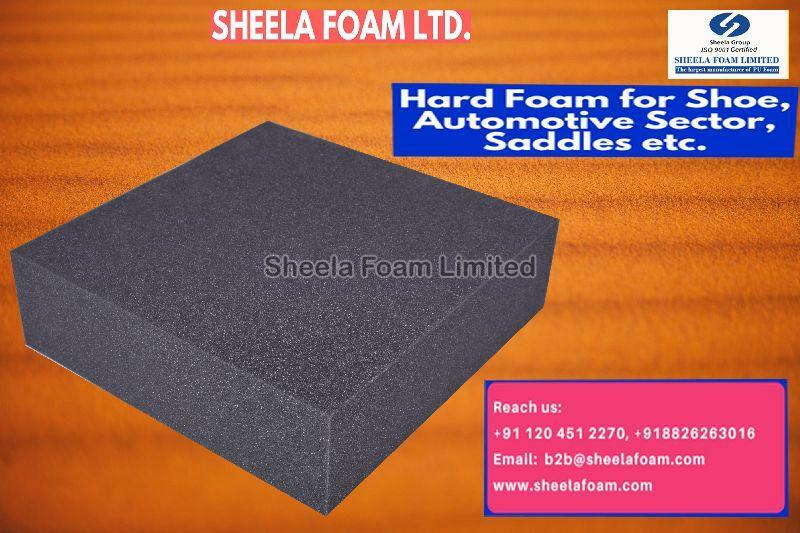 Hard foams are also used in various automotive parts, carpet industry, saddless and riding apparel, kness pads etc. Additionally, we have observed that our 40 hard foam has good acoustic damping properties, therefore can be used for high KVA gensets and refrigeration equipments.